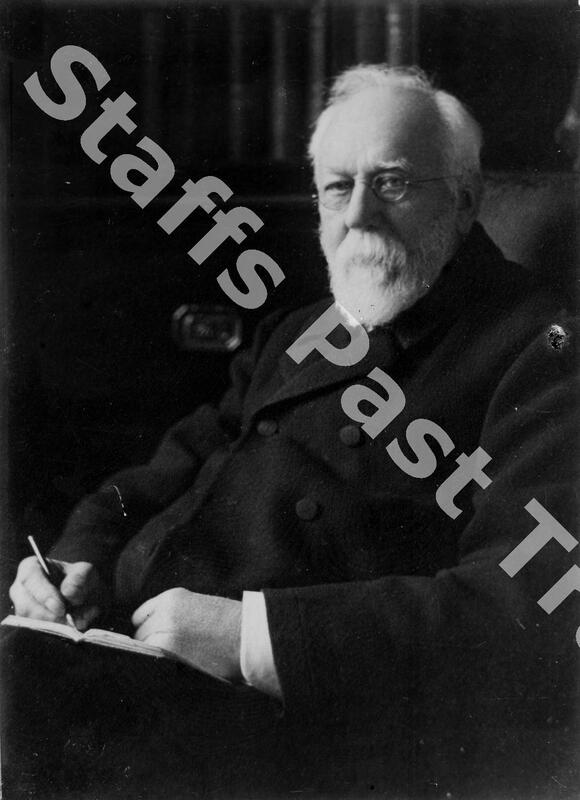 Description:Portrait of Charles Lynam, architect (1829-1921) and member of North Staffordshire Field Club. He was born in Colwich, educated at Christ's Hospital School, London, and in 1850 joined his father's architect's and surveyor's practice in Glebe Street, Stoke on Trent. 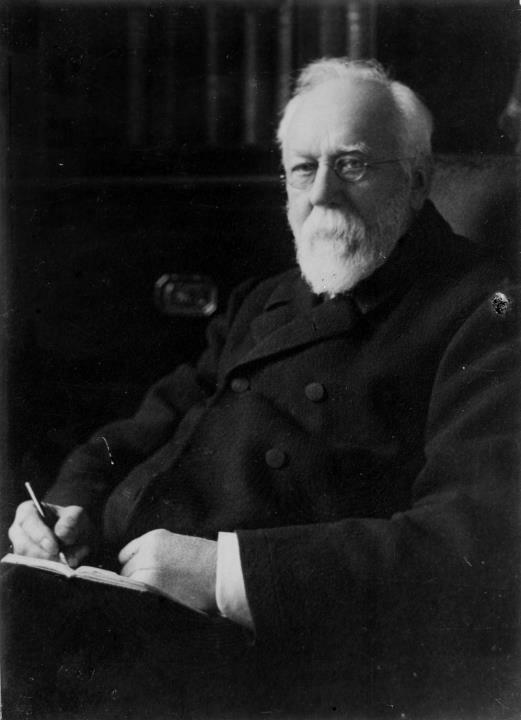 He designed a large number of public buildings in and around Stoke on Trent, including Stoke's Free Libray and Baths, Hartshill Cemetary Chapels and the North Staffordshire Infirmary. He also restored or rebuilt many churches in Staffordshire, including Blurton, Mucklestone, Caverswall and Christ Church Fenton. His best known building is perhaps the Milton Hollins Tile Works. He was a highly regarded archaeologist and antiquarian. His main achievements were deciphering the ground plans of Croxden Abbey and Hulton Abbey, and excavations at the Roman baths at Wall. He lived at the Quarry on the corner of Quarry Road and Hartshill Road, but was living at Cliff Bank House, Stoke on Trent, when he died in 1921.